Of all the traditional arts of Japan, none is more popular than the delicate woodblock prints known as Ukiyo-e. This stunning volume -- and the exhibition it accompanies -- highlights early Ukiyo-e masterpieces from the renowned Bigelow Collection at the Museum of Fine Arts in Boston. 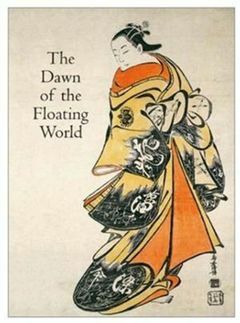 Most of these pictures of the floating world have never been published before.Forming a singular record of Japanese life, these lovely works are seen here in full color; all have been newly photographed for this volume. Essays, artist biographies, and exhaustive catalogue entries by leading scholars examine the stylistic nuances of the early masters, the techniques used by Ukiyo-e artists, and the history of the Boston collection, the finest collection of Asian art under one roof in the world.